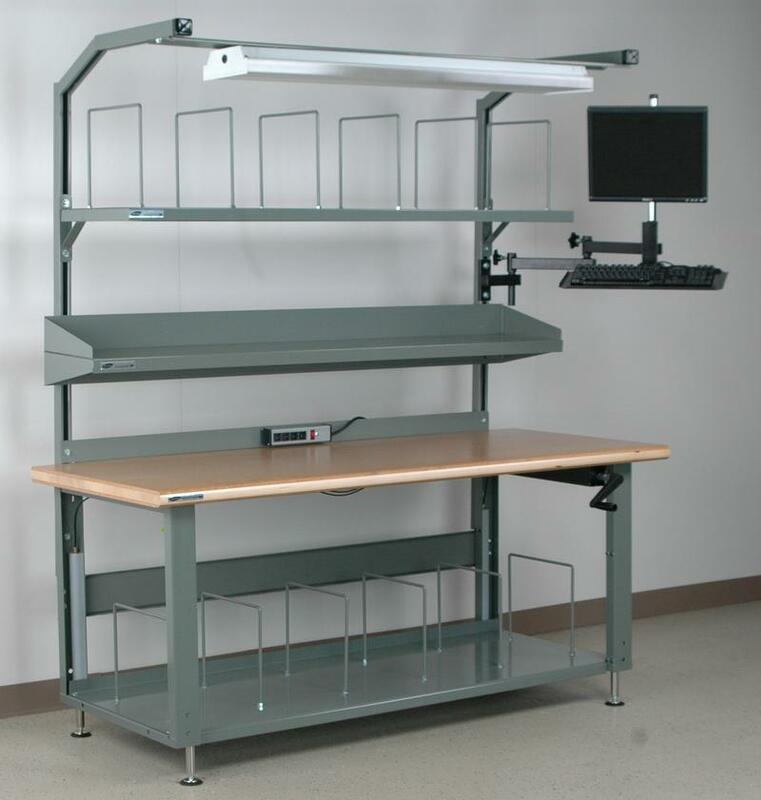 The articulating flat screen monitor arm with keyboard tray will attach to any of our workbenches. 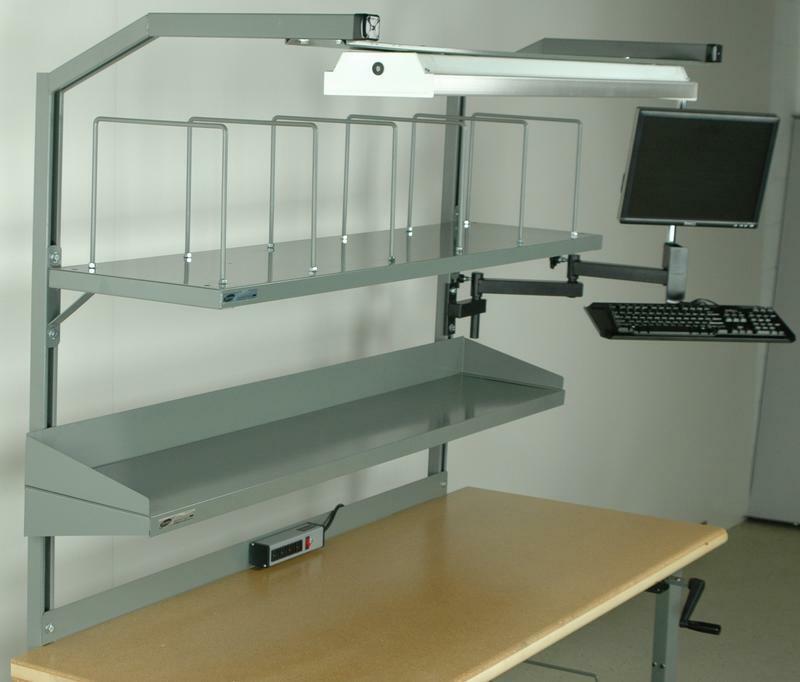 The unit includes an adjustable height base that mounts to any overhead structure upright. 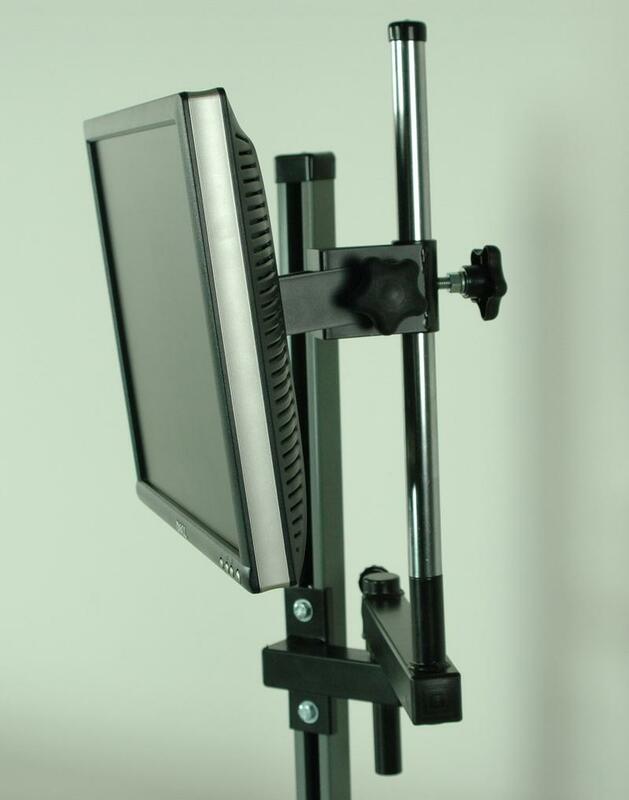 A 10" swing arm then attaches to this base and has a 16" long chrome pole on the opposite end where the monitor bracket and keyboard tray attach to. 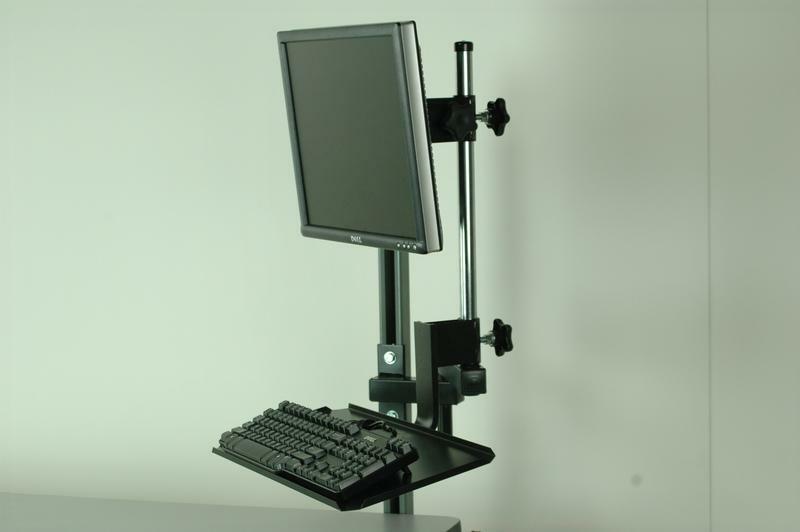 The monitor bracket allows for 360' rotation, 60' of tilt, and 16" of height adjustment for the monitor, and the keyboard tray can swivel 45'. 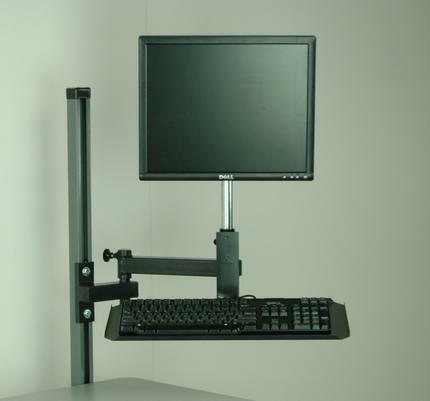 Other 10" swing arms can always be added if further articulation is necessary.